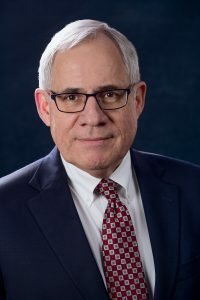 Oregon State Bar – (Member, Executive Committee of Litigation Section 1989-1996, Section Chair 1994-1995; Member, Executive Committee of Products Liability Section 1995-2005; Member, Disciplinary Board, Region One Chair 2000-2002; Author and speaker on Civil Litigation, Evidence, Trial Practice and Workers Compensation). Advocate, American Board of Trial Advocates (Secretary, Oregon Chapter). Mr. Helfrich was born in La Crosse, Wisconsin on January 18, 1950, and grew up in Eugene, Oregon. He practiced law in Lane County, Oregon, with the firm of Sahlstrom & Lombard from 1976 until 1981 when he moved to Ontario and joined Yturri Rose. He became a partner in the firm in 1983. He is married to Pamela Helfrich (formerly Morrisette), who is an Art teacher at Ontario High School. Tim and Pam have three grown sons – Christian, Nicholas and Will. Mr. Helfrich’s legal practice is, and always has been, trial practice. He has been trying jury cases, as well as bench trials, since 1976. When he is not engaged in the practice of law, Mr. Helfrich enjoys jogging, whitewater rafting and playing guitar.